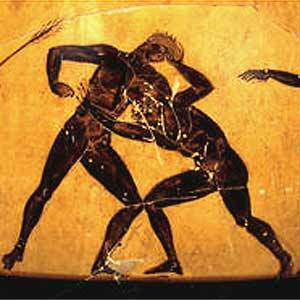 Wrestling with an Olympic Outrage | Paul's Voyage of Discovery & Etc. Insane. Clearly it’s all about getting a more telegenic sport on the roster. Wrestling is not a big nation medals sweep sport either, so the softball argument is null and void. Remember? Women’s softball was eliminated on the excuse that not enough countries played it, but in truth it was because the US women were so dominant…and yet, that was changing, and other nations were gaining parity. In cutting it, the IOC basically ensured American dominance in the sport. But wrestling? Seriously? One of the few truly pure one-on-one sports left? WRONG. Just wrong. Excellent post, Paul. I enjoyed wrestling in school, though I never was on a team. I will never forget, however, you telling us about Coach Joel Solomon when Henry Hall came of age. But thank God the Olympic Committee has kept their hands off badminton! Obvious, it is, that the heirarchy of the Olympics should abandon Wrestling, since they have never strived for excellence on the mat. 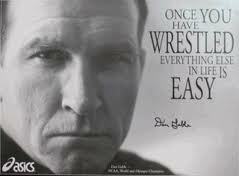 Had they, they would understand that wrestling is a prime ‘life-building and life-preparing’ sport of champions. Nothing else comes close. We used to ‘eat’ football and basketball players for lunch due to our conditioning (…and I varsity-ed in football for 4 years on offense and defense). There is no ‘team’ to fall back upon, you have only the mirror to blame. You’re right, Glenn. On all counts. 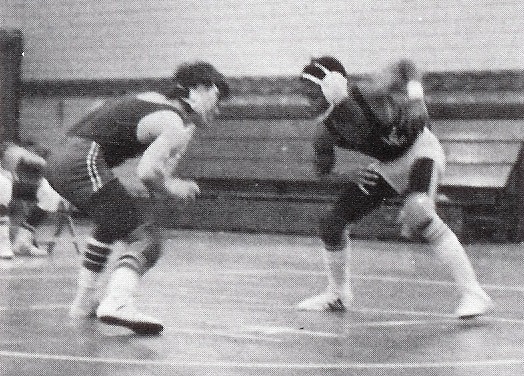 I lettered in football and wrestling — and wrestlers trained harder than anyone. Hell, we ran more than anyone but the cross country team. And we finished every practice by running a sub 6-minute mile. If you didn’t finish in under 6-minutes, you ran penalty laps. And we all knew exactly why we were doing it. Because in that third period, when you hit that wall of exhaustion (and there’s no exhaustion like it), you had to reach deep and find something more inside yourself. That’s what pure athletics is all about. Striving to reach your fullest human potential. There’s a petition on the White House website to get them to overturn the decision. I hope you all join me in signing it.